Greetings Maplers! Many thanks for joining the MapleStory 2 community forums. As Maplers who protect Maple World, we must stand united against the Black Mage’s forces by upholding the Forum Code of Honor! More importantly, we must foster a safe and collaborative environment for you and your fellow Maplers! Please review these guidelines on how to be the epitome of an honorable Maple World citizen! 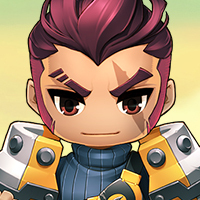 - The MapleStory 2 GMs are dignified leaders of the game and should be treated with the utmost respect. - Heroic Maplers avoid using profanity and words that are offensive. - Good rapport amongst your fellow Maplers is key to keeping Tria and Maple World safe! Maplers should never harass, flame, or troll others. - A true Mapler never makes racists, derogatory, and threatening comments towards their fellow Maplers. - Maplers are helpful and courteous. They always provide constructive feedback and respectfully disagree with their fellow Maplers. - Posting information regarding unofficial servers is strictly forbidden. - Witch Hunts or call out threads against other Maplers, VFMs, CMs and GMs are not permitted. - Forums and Discord Ban discussions are not permitted on the forums. For Ban appeals, please seek out the CM to discuss a possible return via Private Message on the forums. - If you wish to be taken seriously as a Mapler, you should keep your forum name free of inappropriate language. - Please do not send inquiries to the Forum Moderators and Community Manager Cuddles regarding forum name changes. Exceptions are only made if the forum name violates the CoC. Thank you for understanding.